As soon as Alex Rodriguez's 162-game suspension was announced, baseball writers and bloggers speculated as to who'd play 3rd base for the Yankees. Jay Jaffe summarized internal and free agent candidates to replace A-Rod as"a fairly dismal array of options". Including Kelly Johnson and Brendan Ryan as candidates, Jaffe suggests the Yankees find an upgrade via trade. Dan Martin, of the New York Post, says the Yankees have few quality options other than Chase Headley from the Padres. Most agree that the Yankees do not have enough prospects to get Headley. 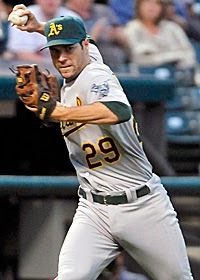 It has been widely reported that when the Yankees called San Diego to inquire on trading for an infielder, talks veered away from Chase Headley, towards utility infielder Logan Forsythe. Kelly Johnson is a good addition. Bryan Hoch of MLB.com and Craig Calcaterra of NBC Sports think Kelly Johnson is poised to take the majority of playing time at the hot corner. Granderson carried a career .488 SLG when he was traded to the Yankees. 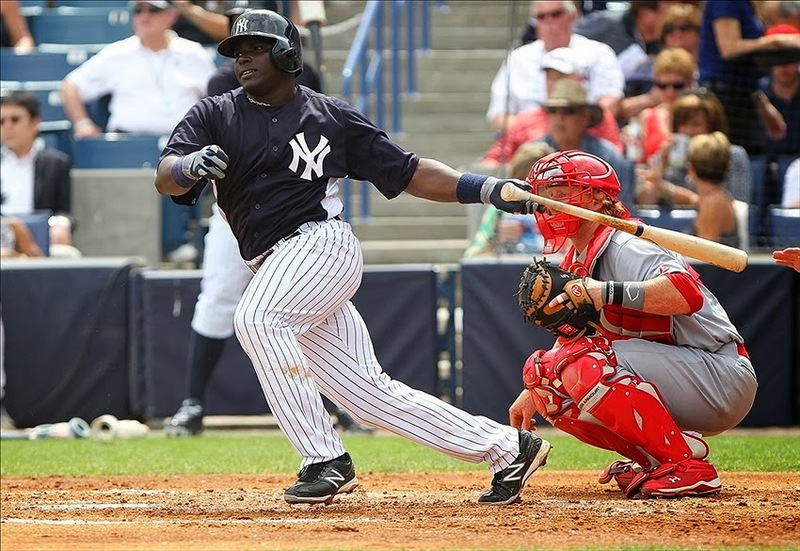 We don't expect Johnson to begin slugging .480 or .490, he's been a .427 career slugger. The Yankees have a roster of infielders, many of whom cannot be expected to stay healthy for more than 120 games, including "starters" Brian Roberts and Derek Jeter. If both of them are out the same day, Kelly Johnson and Brendan Ryan will play up the middle. Third base would be manned by Scott Sizemore or Eduardo Nuñez. Yankee fans are all too familiar with Nuñez. The best analytic complement for Eduardo Nuñez is that he makes good contact, although he swings at too many pitches outside the strike zone. Perhaps, the best move would be to keep the Roberts/Johnson time-share at 2nd base, start Brendan Ryan every day at shortstop, and split third base duties between Derek Jeter and Scott Sizemore. Jeter could also DH on days that Alfonso Soriano gets a day in left field or needs a rest. The Yankees are playing an infield-by-committee strategy wherein having enough brittle players ensures they won't all be hurt at the same time. Scott Sizemore is another good player with a troubling injury history. Oliver loves Scott Sizemore. Oliver is a simple projection model that takes injury/platoon out of the equation, using 600 plate appearances for all players. Oliver projects a .345 On Base Percentage and 3.8 WAR for Sizemore. That is the highest WAR projection from Oliver for any player mentioned in this essay, including Chase Headley (3.5) and Kyle Seager (3.3). 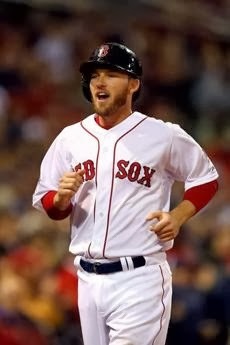 Someone at the Yankees likes this Sizemore guy and has evidence that will look good somewhere in Girardi's Binder. The team is hoping they could rekindle the same kind of magic they had when they hooked up with Eric Chavez in 2012. In case you're curious, Oliver projects 1.7 WAR for Chavez, with more than that coming in from his defense. 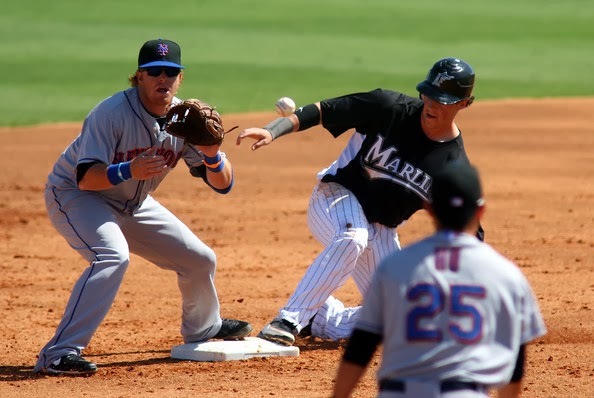 Oliver projects Chavez to be a below replacement offensive player in 2014. The average age of Jeter (40), Roberts (36*), Johnson (32), and Ryan (32) will be 35 at the 2014 All Star Game (July 15). Is an infield of Sizemore (3b), Ryan (SS), Johnson (2b), and Mark Teixeira (1b) a lineup the Yankees would take into October? Considering the Yankees don't have enough prospects to acquire Chase Headley, we eliminate Kyle Seager from any Yankee fan's dream list. Chase Headley has produced 4.7 avWAR/650 PA from 2011-2013. Seager is at 3.2 avWAR/650, but he is more valuable than Headley becauase he's younger and under team control through 2017. Headley can become a free agent this Fall. Let's keep looking for further possibilities. How much potential is in Ronnier Mustelier? He's a Cuban refuge, who has spent the past three seasons in the Yankees' minor league system, and will turn 30 this August. If promoted to the big leagues, Oliver projects just a .318 OBP. Mustelier's past 3-year stats tell a better story, with a .306/.357/.460 slash line in 1,030 plate appearances (over 700 PA's in Triple-A). Josh Satin's numbers are a really small sample size, just 249 plate appearances with the Mets. He's had an unsustainable .397 BABiP in that time, so his career numbers should go down with more opportunities. Valbuena and Forsythe at least bring better defensive skill than the other five on this list. Looking at past 3-year stats for potential free agents, including Stephen Drew, do not look better than trade targets. Michael Young is already much worse than he was in 2011 and trending badly. Jeff Baker mashes lefties, but his 3rd base defensive is atrocious. Can he hit enough to make up for it? A left side of the infield of Jeff Baker and Derek Jeter would be the worst in the game. Stephen Drew and Justin Turner may provide the highest floor. There's a good chance they produce relatively similarly, and Turner will come at a substantially lower price tag. Frank Wren, GM of the Braves should be texting and calling Brian Cashman twice a day, in an effort to trade Chris Johnson to the Braves. Atlanta lucked out with Chris Johnson's 2013 season. His .397 BABiP last year is certainly something the Yankees are aware of, but his track record is nevertheless better than just about any other option. 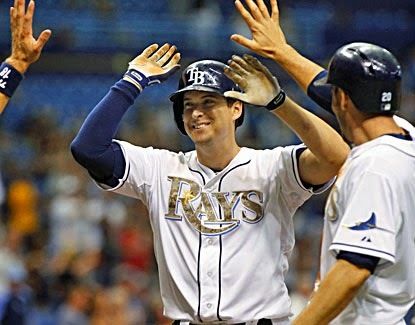 Would you take Chris Johnson over Aramis Ramirez for this next season? 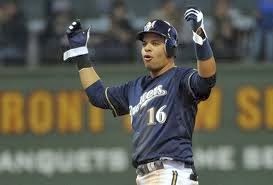 Aramis Ramirez is the best option, isn't he? This is the last year of his contract, making $16 million. The Brewers are not likely to contend in a division with St. Louis, Pittsburgh, and Cincinnati. Ramirez is far from an iron horse, but if he can sit or DH once in a while, he could see 600 plate appearances. Brendan Ryan, Ichiro Suziki, and Scott Sizemore make a potent bench. In conclusion, we suggest the Yankees trade for Aramis Ramirez. If they want a lower cost move, they should look at signing Justin Turner or trading for Luis Valbuena. Without an upgrade at third, Derek Jeter should take some grounders over there. 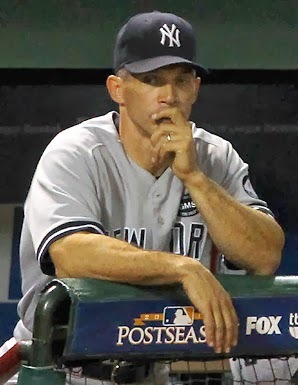 Mostly, we would bolster a plan that relies quite a bit on Scott Sizemore and Ronnier Mustelier. Let your voices be heard, Yankees fans. What should they do?